Le verger Tremblay, a story of family and passion since 1945. Spring 1944 : Armand and Berthe Tremblay settle on the lands of the Rang de la Montagne. At that time, the lands were mostly used for breeding sheeps and growing a few fruit trees. They had to work the soils in order to expand the domain and cultivate apple trees that, then, were about 800 trees on 10 acres. At the end of the 1950’s, they install a little stand on the side of the road so that the family can finally monetize their investment. 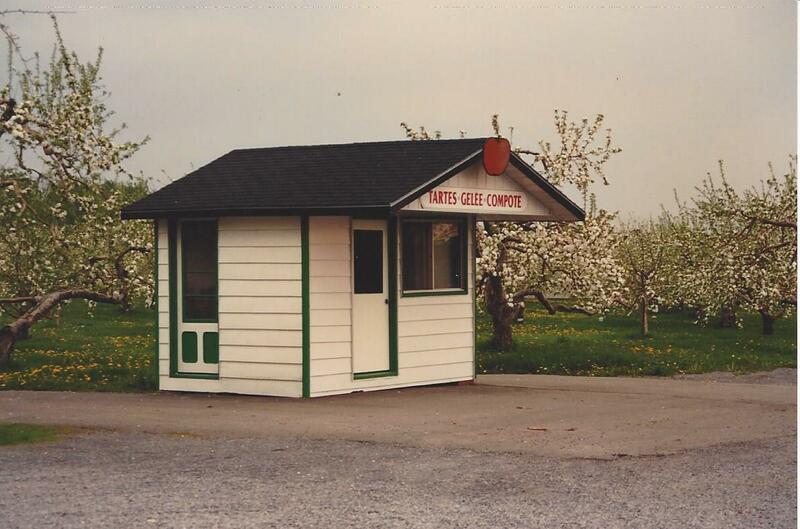 In 1965, the orchard has blossomed into about 2000 apple trees. The construction of a refrigerated storage area fullfills the requirement for a better customer service. 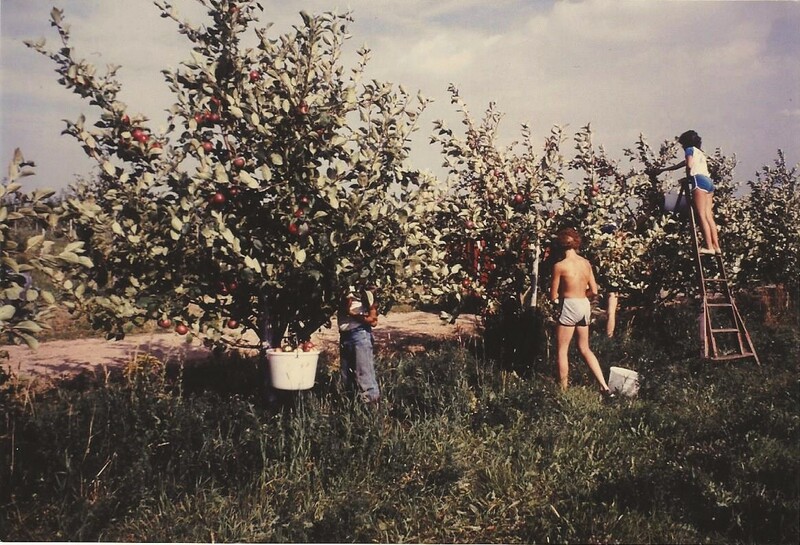 In 1976, Armand and Berthe decide to retire and sell the orchard to their oldest son, Pierre. Pierre will follow a very common school career and graduated from his carpenter and joiner course in 1961, a trade he will practice for 13 years until he acquires the orchard. In 1965, he gets married to Carmelle Théberge, native of the Abitibi region. Four children will be born : Luc, Gaétan, Stéphane and Caroline. 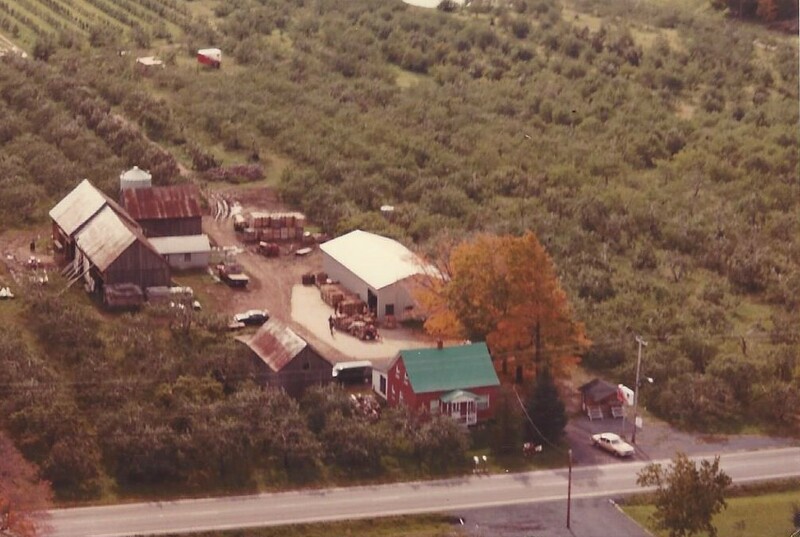 Pierre will always keep working on the orchard following the same road as the one his father paved and will expand the orchard each year, breaking new grounds and using new technologies in the apple production field. 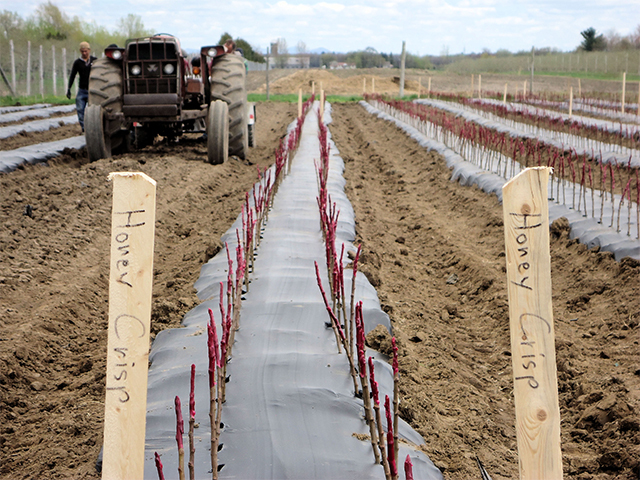 The orchard now spreads on 29.3 acres and each year, more apple trees are planted following the most recent technologies. Then, semi-dwarf and dwarf apple trees are introduced in the orchard. As of 1978, products cooked by Carmelle and Céline will hit the shelves of the orchard. The customers can now enjoy delicious apple pies and jelly. In 1990, they start building the structures that are found today on the farm and that allow us to better serve our customers. As the years went by, many homemade products were added to the menu and a production kitchen is then put in place in order to raise the production and better satisfy the customers. In 1994, a major frost damages the plantation and nearly 60% of the trees do not survive. Never giving up, the family begins replanting trees in the following years in order to replace the lost trees. 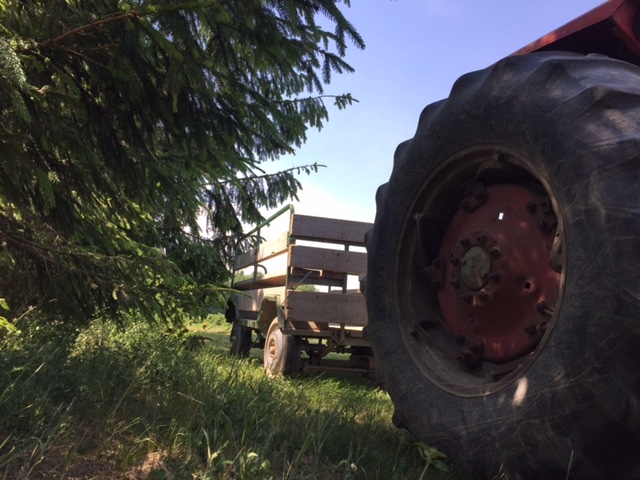 During the following years, Luc is still working on the family farm and starts introducing new plants such as strawberries, raspberries, blueberries, pears and plums. 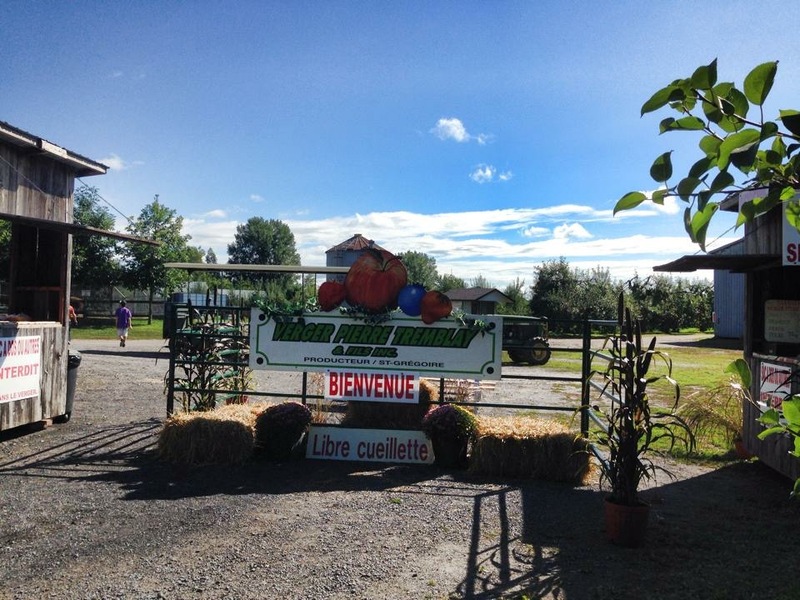 In 2007, Carmelle and Pierre finally decide to officially give up the farm to two of their sons, Luc and Stéphane. Today, and for many years, the orchard is part of a technical management club dedicated to reducing the use of pesticides. As of 2017, we will be using the pheromon confusion technique to fight some invaders. These ecological alternatives will allow us to develop a more environmentally responsible culture. Luc and Stéphane, never ceasing to innovate, work together in order to make sure that we can welcome you in a beautiful orchard that offers 6 varieties of fruits, many farm fresh products and of course, a wonderful and memorable picking experience. Since 2015, we can also welcome you to our brand new shop that offers fresh vegetables and local products all year long. The orchard is now an agri-tourism company in which fruits are at the heart of the organization.